I’ve got a couple of super pretty cards to share with you today, but before I get into the details, I want to quickly remind you that Sale-A-Bration ends on Friday…that’s right…THIS FRIDAY!! 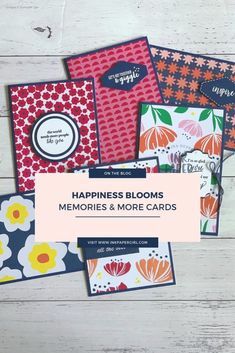 I’d hate for you to miss out on some of the fabulous FREEBIES that are currently on offer, so NOW is the time to PLACE your ORDERS. Don’t put it off until later…jump online now, or send me an email, text or message via messenger & I’ll get in contact with you to help you place your order. If you’re new to craft scene, or new to Stampin’ Up! & are not sure what Sale-A-Bration is, you can click here to find out more. Today’s cards have been made with the new Waterfront stamp set from Stampin’ Up! Don’t let the name mislead you…the Stampin’ Up! stamp set is Waterfront is about more then just water. There are mountains, pine trees, palm trees, water/cloud like swooshes, a cute little cabin/beach hut, a sun/moon, some speckles/stars & plenty of sentiments, making this a very versatile stamp set to have in your stash. You can find the Waterfront stamp set, in the current Occasions Catalogue. 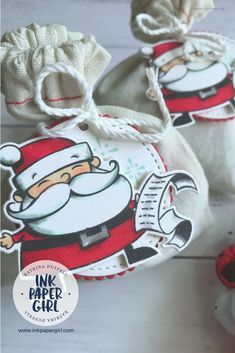 If you’d like to see more examples & ideas on different ways in which to use this stamp set, you can jump onto Pinterest & type Stampin’ Up! Waterfront into the search bar. I started out by stamping the trees onto a circular scrap of Powder Pink cardstock in the following 4 colours Marina Mist, Island Indigo, Night of Navy & Elegant Eggplant. I varied each colour by using a technique called Stamping Off. Top Tip: Stamping Off is when you stamp the same image multiple times without re-inking it. The first image will be the same colour as the ink pad, the second image will be slightly lighter, the third image lighter again & if you’re using darker colours like I am, you can sometimes even get a super light fourth image stamped, before you need to re-ink your stamp. I love how this combination of colours turned out on the Powder Pink background, it’s pretty, feminine & whimsical..
With an image this lovely it just made sense to make it the focal point of the card, so I decided to put it within a “photo frame”. I started creating the illusion of a photo frame by using my Stitched Shape Framelits Dies & my Layering Circles Framelits dies to cut a round frame out of some Crumb Cake card stock. A lot of professionally framed photos are surrounded by a layer of matting, so I made sure that I cut the frame large enough, to allow some of the Whisper White Cardstock to show through, just like matting would. Now I could have left it at that, & glued everything down, but I wanted it to look more realistic, & to have more depth…. so I cut a circle out of the middle of the Whisper White matting & placed my stamped image underneath (in hindsight I should have cut the circle out first). The final step was to add my own “glass”, which I did by cutting a circular piece of clear window sheet. I then glued it into place under the crumb cake frame, but over the top of the white “matting” with tiny dots of Tombow Multi Purpose Glue. The idea for the second card came about when I was part way through making the first card…..I was happily gluing things into place when suddenly I had a brainwave…I knew that I had to make this card again, but this time as a shaker card, complete with glittering snow!!! The result is a perfectly modern Christmas card….. I know that March is probably a bit too early to start thinking about Christmas, but I just couldn’t resist. For this card I primarily followed the same stamping steps that I used for the first card, however I sponged a little Wisteria Wonder & Flirty Flamingo ink into the sky to make it look more like a sunset (or sunrise) before stamping the trees. Again I used a piece of clear window sheet to give the look of glass, but in this case it’s also a necessity as it’s holding the glitter within the frame. 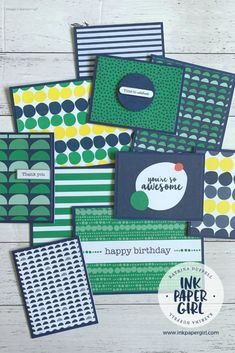 Top Tip: Stampin’ Up! Foam Strips are THE BEST adhesive for creating shaker cards. The foam strips are thicker then dimensionals so you get more space for your shaker filling to move around. The other awesome thing about the foam strips, is that they come in long narrow strips, which can easily be manipulated into seamless circles, to create a secure frame for your glitter, sequins or small beads. To dress this card up a bit more, I added some of the lovely Night of Navy crinkle seam binding & made a sweet little tag using a die from the Wood Crate Framelits Die set. So tell me ….what do you think?